Luminescent skin: we all want it. She figured out how to get it. Alicia was the first person to respond to my ‘i launched a blog! check it out’ email i blasted to everyone I know. Her response was something like:’ I love this! We ARE all connected! That category really speaks to me. I can’t wait to read this sections’ posts.’ She even went so far as to post those four words on her Facebook page that day. I decided then that she would be the perfect subject for my next ‘we’re all connected’ post. 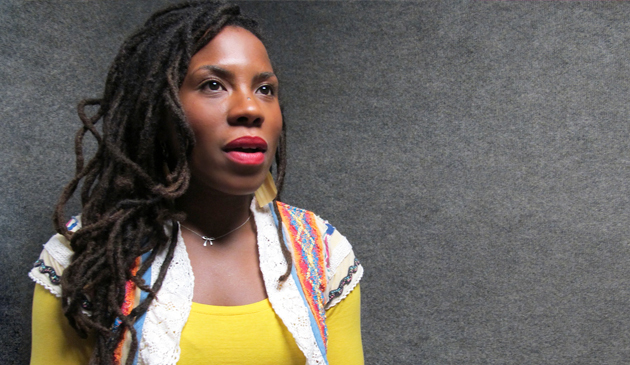 As a ‘Culture-Connector’ for the Brooklyn Museum, the beautiful and stylish Ms. Boone serves as the Adult Programs Coordinator in the Public Programs Department. She’s super committed to all things arts-related, and is a contributor to numerous empowerment programs (the day I photographed her at work she was leaving to volunteer at a young women’s summit) throughout the NYC area. As we walked through the museum, looking for the best backgrounds in which to photograph her, I kept marveling at how incredibly well her skin photographed, regardless of the quality of light. Note: the only makeup she’s wearing in this photo is red lipstick. She has nothing on her skin. It was then that I realized that this post on my sweet friend was not going to be about how she connects folks with art, but about how she cares for her skin. I got out my notebook, and prepared to grill her about every product she applies to get that glow. 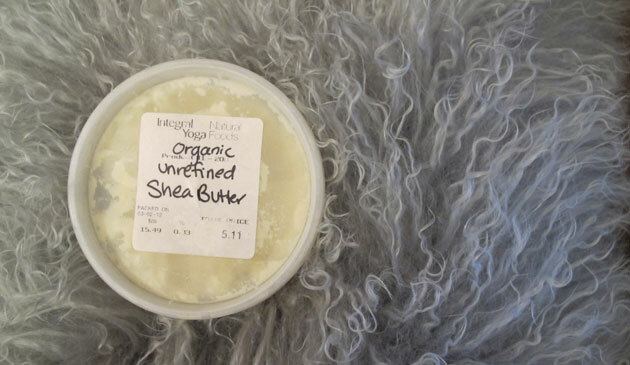 ‘Just organic, unrefined shea butter. That’s all I use on my skin’. High quality shea butter comes from the nuts of shea-karite trees that are at minimum 15 years old, and grow only in the tropics of Africa. It can take 30 years for the shea-karite tree to bear the quality of nut with a high enough content of the fatty acid that gives it its incredible healing properties. 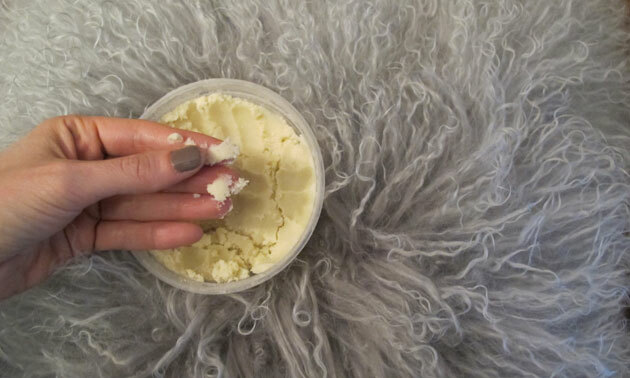 When raw and unrefined, the scent of shea butter is somewhat nutty, not very intense, and not unpleasant to most people. I like it. Its’ color ranges from cream to grayish yellow, and has a creamy but crumbly texture that melts and spreads easily when it touches warm skin. Processed and refined shea butters are easier to find, and still may contain a lot of the original protective properties (vitamin A and E), but the processing technique may have included use of a chemical solvent called hexane that doesn’t entirely wash away from the shea butter after processing is complete- and you don’t want hexane on your skin. You can also use shea butter to hydrate your hair! As with all things, there is the possibility that you’ll have an allergy to this product. Please test it on a small patch of skin and wait for an hour or more before coating yourself with it…just to be safe.